Our deli style oven roast turkey breast makes the perfect turkey sandwich. Slow roasted so it’s juicy and flavorful, we then slice it thin, deli style. We use no fillers, so you can enjoy soy free and gluten free oven roast turkey breast. 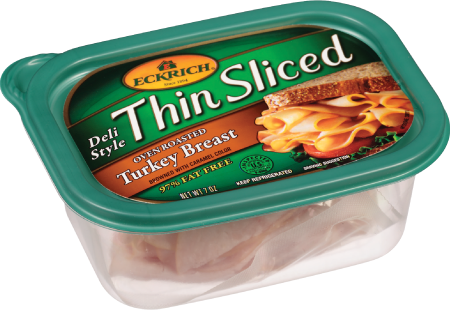 We’re also proud to make our lunch meat with no by-products or artificial flavors or colors. Stack it as high as you like on your next double decker or classic turkey club. 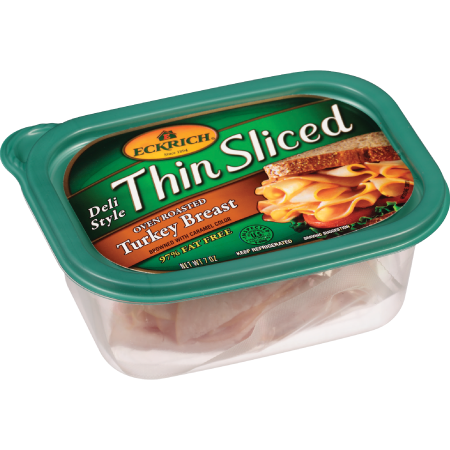 Ingredients: TURKEY BREAST, WATER, CORN SYRUP, CONTAINS 2% OR LESS OF SALT, DEXTROSE, MODIFIED CORN STARCH, SODIUM LACTATE, SODIUM PHOSPHATE, POTASSIUM LACTATE, SODIUM DIACETATE, SODIUM ERYTHORBATE, SODIUM NITRITE, CARMEL COLOR.